The fight to normalize breastfeeding has taken quite the creative turn as of late. 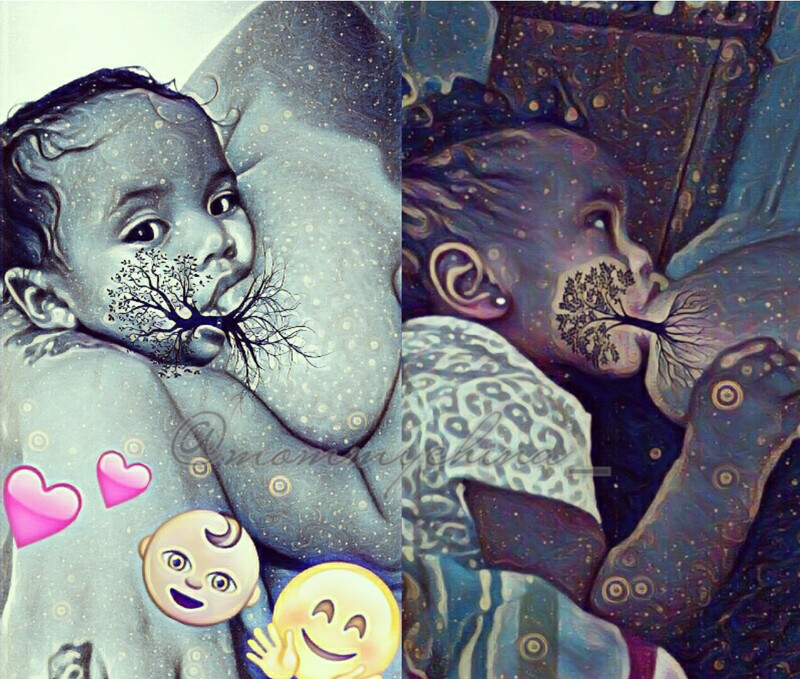 Anyone who is a member of the online mom community has likely seen these beautiful images of moms nursing their babies with a swirly overlay of a tree covering the breast and baby’s latched on mouth. The Tree of Life images as they’re called, made by users of the PicsArt app have popped up in countless social media feeds. Scrolling through the #Treeoflife hashtag on Instagram will introduce you to countless users who have created the image. And they aren’t just on Instagram. The hashtag is making waves on Facebook and Twitter too, not to mention right inside of the mom.life app! For members of our modern mom community, the #TreeOfLife images have become an engaging content piece that mothers have connected over. We see women sharing their images, commenting on those of others, and even offering to make beautiful Tree of Life works of art for fellow moms within the app. We love seeing this awesome community and connection within the Mom.Life app! And, if our mom community members are any indication of the way the trends is heading, it’s not just breastfeeding moms who are getting in on the fun. We’ve seen bottle feeding #TreeofLife images popping up in our app feed as well -helping moms, regardless of how they feed their babies, connect over something as beautiful, empowering, and intimate as feeding their children. Be sure to download the app http://bit.ly/momlife_blog and join our mom community to see more images from moms who love celebrating the beauty of breastfeeding!